The Board of Directors for the Cow Palace Arena and Event Center in Daly City announced Tuesday they have voted to ban gun shows from taking place at the fairground. In addition to banning gun shows, the board also voted to move forward with a retail and housing project on Cow Palace property. In February, state Sen. Scott Wiener and Assemblymember Phil Ting, both D-San Francisco, introduced state legislation to end gun shows at the state-owned venue. The legislation also proposed transferring control of the 68-acre property from the California Department of Food and Agriculture to a locally controlled join powers authority. That authority would then be charged with designing a new strategy for the Cow Palace, including the construction of a housing development at the site. "With these two important decisions today, the Cow Palace board has given Senator Wiener what he wanted: an end to the gun shows and the use of the Cow Palace acreage for retail and housing," Kevin Patterson, executive director of the Save the Cow Palace Coalition, said in a statement. "We hope that he will now amend or withdraw his bill and allow a bright future for this viable and historic public event facility," Patterson said. San Mateo County Supervisor David Canepa said, "This is a battle that's been brewing for over two decades. 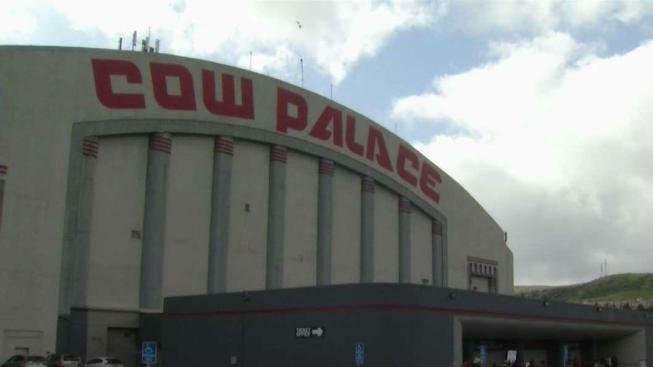 The communities surrounding the Cow Palace earned a big victory today as its board voted to cease gun shows at the venue. "The state should not profit off the sales of guns and now it no longer will at the Cow Palace," he said. San Mateo County supervisors have been calling for the end of gun shows at the Cow Palace since 2014, Canepa said. State leaders have attempted banning gun sales at the Cow Palace as far back as 2007, when then-Assemblyman Mark Leno first introduced a bill to halt the sales, but failed. Then in 2009, as a state senator, Leno again introduced a similar bill, but it was ultimately vetoed by then-Gov. Arnold Schwarzenegger. In 2018, Wiener and Ting pushed a similar bill, but then-Gov. Jerry Brown vetoed that one as well.